As anyone who’s ever had inside pets can tell you, eventually your furniture gets peed on. And, as luck would have it, Boris peed on my wood bathroom vanity. This is ‘lucky’ only in the sense that I now have something new to talk about on my vanity blog, and, I suppose, also in the sense that I learned something new. We’re Back! Now with More Video! Wow! It’s been a while since we’ve posted anything, I know, and to those who await my every blog post with bated breath – I apologize for the delay! The first word that comes to mind when I look at this particular floor-standing bathroom vanity is “edgy.” And not “edgy” in the way that Natalie Portman’s role in the recent Arronofsky flick “Black Swan” was edgy (that movie was seriously, seriously edgy by the way). I mean it’s “edgy” in the sense that it prominently features highly dramatic and yet strikingly minimalist angles, or “edges.” Yes, I’m not exactly digging into the creativity box today. Vanity of the Week: The 39″ Naked Lune! Come visit our San Diego bathroom vanity store today and see the Naked Lune yourself! When it comes to bathroom vanities, few are quite so graceful as the Celine double bathroom cabinet. To see the Celine in person, drop by our San Diego bathroom vanity showroom! It’s that time again! This week’s Vanity of the Week is the elegant… the delightful… the fantastic 63″ Grand Regent! My friend and local San Diegan Wyatt Fisk just wrote a brand new article for his Google Knol collection. 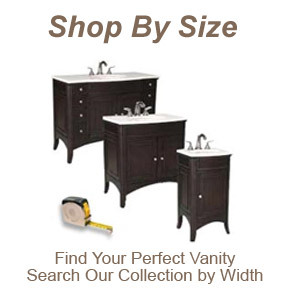 It’s called “How to Remove and Old Vanity, and Install a New One: a Comprehensive Guide.” I just wanted to give it a quick shout out; you should definitely take a look if you are interested in remodeling your bathroom with a brand new vanity cabinet.